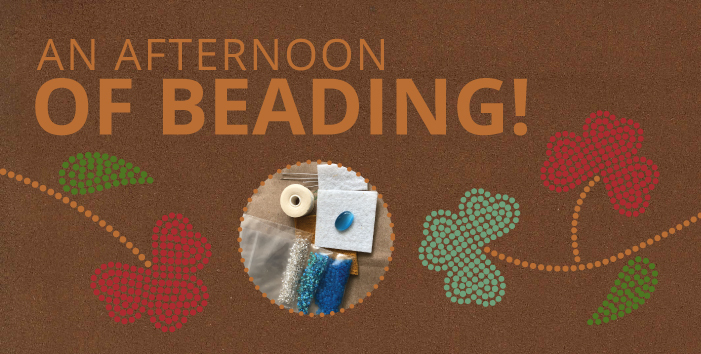 … join our special guest, Krista Leddy, and learn to bead! Krista has beading kits for $10 available so you can begin a project of your own, or if you have already started a project bring that along. And, while you are here you still have the opportunity to enjoy the In their Footsteps Exhibition, a beautiful display of 107 pair of beaded, embroidered and tufted moccasins in one space!